Last year, a team of scientists from Pakistan and China stumbled upon a species of fungus that colonised the surface of plastic, causing it to chip away. Bengaluru: “Life always finds a way,” goes an iconic line from Jurassic Park. And the more we discover things about the world around us, the truer this seems to be. Recently, a Facebook video posted by the World Economic Forum (WEF) about plastic-eating fungi went viral. Clearly, as we pollute the world more, some forms of life are making attempts to live off our trash as well. Fungi are one of the five kingdoms of life (six, if you’re American), the other four being plants, animals, monera (unicellular organisms that don’t have a nucleus, like bacteria), and protists (an assortment of creatures that are eukaryotic, ie, having nucleus in their cells). They are known to survive extreme temperatures and pressures. In 1988, Russian cosmonauts noticed a mysterious growth on the outside of the Mir space station’s titanium quartz windows that was found to be fungus. The largest living organism on Earth is a fungus in Oregon, US, called armillaria ostoyae, or the ‘Humongous Fungus’. It covers over 10 square kilometres and weighs almost 10,000 kg. Last year, a team of scientists from Pakistan and China stumbled upon a species of fungus that colonised the surface of plastic, causing it to chip away microscopically and degrade faster. This species is called Aspergillus tubingensis, and was tested extensively. 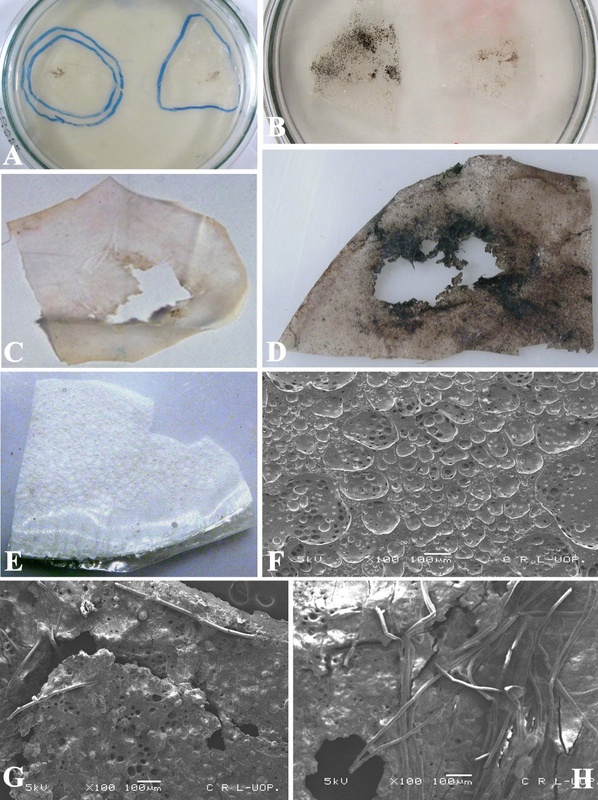 The results were published in Environmental Pollution and show that, when isolated and kept in a liquid, the fungus disintegrates the plastic material polyester polyurethane into pieces small enough for them to biodegrade. This isn’t the only or even the first known instance of creatures degrading plastic. The same kind of plastic is degraded by two other fungi of type Pestalotiopsis, as American scientists found back in 2011. The plastic acts as a carbon source for the fungus, which uses it for metabolism. Such degradation happens in both aerobic and anaerobic conditions. 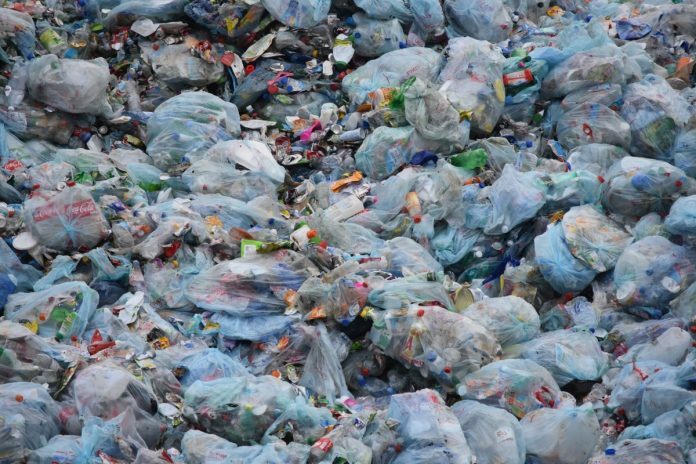 Using advanced spectroscopy and microscopy, scientists discovered that this process of breaking down plastic is performed by both chemical and physical strength. The fungi secrete enzymes on the surface of plastic, which help “dissolve” the plastic and break the chemical bonds between the plastic molecules. Then, on top of that, the fungi also use their mycelia — the root-like filaments that grow in fungal colonies — to physically pry apart plastic molecules. Some bacteria have also been known to break down bonds in hydrocarbons and petroleum. One species, called C. Metallidurans, can actually consume toxic metal and excrete gold. The Ideonella sakaiensis bacteria breaks down PET — the plastic we use to make disposable water bottles — in two weeks into terephthalic acid and ethylene glycol, two substances that are completely safe for the environment. Researchers believe that these enzymes produced by the bacteria are new, less than 80 years old: When plastic as we know it started being produced. Larger animals aren’t far behind, although they’re few in number. Mealworms, one of the most common pet foods as well as edible worms sold as street food in several Asian countries, are capable of consuming the notorious styrofoam. They process it, converting a major part of it to biodegradable excreta and the rest to carbon dioxide. There’s a predator for plastic bags too. Dr Federica Bertocchini of the Institute of Biomedicine and Biotechnology of Catabria, Spain, also an amateur beekeeper, made the discovery accidentally when plastic bags containing larvae of the moths that eat wax in bee hives developed holes. Caterpillars of the wax moth, Galleria mellonella, were found to eat up plastic bags in just a few minutes. All these discoveries offer a faint glimmer of hope for our massively building waste disposal problem. The process of potentially using living creatures as a solution to human-made pollution is called ‘bioremediation’. It could even prove more cost-effective than the current conventional physico-chemical methods to process non-biodegradable waste. However, it is still very much confined to labs and will require a large-scale advancement before being implemented as a solution. Meanwhile, plastic usage is increasing day by day. Increased awareness is often defeated by more effective masking, with harmful polymer materials also parading around disguised as cloths. Each Indian, on average, consumes 11kg of plastic a year, and the number is only growing, spelling a looming disaster.